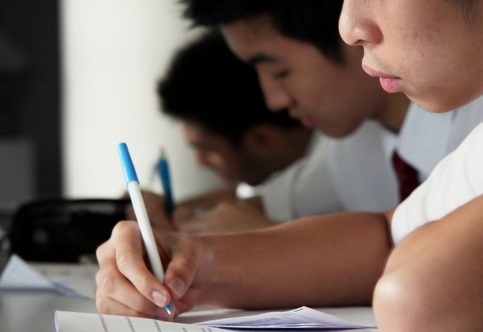 The number of years that Malaysian students spend in school does not guarantee of good education, a new report has found. The Khazanah Research Institute (KRI) report revealed that even though Malaysians stay an average of 10 years in school, students have three years of schooling that do not contribute to their educational achievement. “To complement the knowledge-based economy, the state of human capital development in this country – of which 20% of government expenditure goes to education – has plenty of room for improvement,” the report’s authors said. The Programme for International Student Assessment (PISA) in 2015 showed that the mean reading score for Malaysia was only at the 25th percentile for the OECD average score, while Malaysia’s mathematics score only hovered slightly above the 25th percentile. Between 1970 and 2016, Malaysia’s education spending grew from RM500 million in 1970 to RM55.6 billion, comprising between 18% and 26% of total current government expenditure over that period. However, Malaysian government spending on schools per total number of secondary students was still relatively low, at US$2,525 (RM10,489) in 2016. In comparison, advanced nations, such as South Korea, Singapore and Japan spend significantly more. South Korea spends US$6,508 per secondary student while Singapore and Japan spend US$9,357 and US$10,397 respectively. The KRI also found that while Malaysia has produced more tertiary-educated workers than those of any other education level, most jobs created are in the semi-skilled categories. The report’s authors said this observation indicates that the learning outcomes of the Malaysian education system lag behind those of advanced countries.